Scam Srl delivers all machines and spare parts to the address specified by the customer, complete with all customs documentation required for import-export procedures. We avail ourselves of the assistance provided by the best forwarder companies operating with in National, European and intercontinental territory through their services by sea, air and land depending on the destination and the urgency of the material. To avoid inconvenience, please report an address where someone can always pick up the goods. 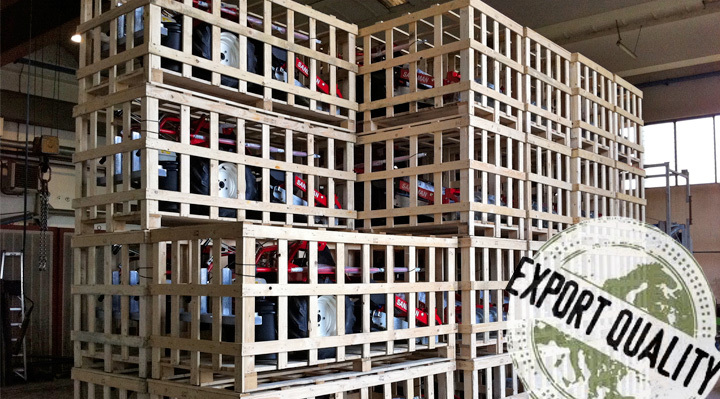 All the machines are shipped inside suitable wooden packing certified ISPM-15.